The Max Planck Institute of Immunobiology and Epigenetics in Freiburg, Germany is offering a Postdoctoral Position in the Laboratory of Nicola Iovino. The position is available from the 1st July 2019 for a five-year appointment. Our Institute investigates the molecular basis of the immune response and other topics of the developmental biology, such as the origin and differentiation of the immune cells as well as the development of vertebrate embryo. Another main focus of the Institute is Epigenetic. This area deals with inheritable traits, which are not caused by changes in the DNA sequence. The successful applicant contributes to internationally competitive research on chromatin and gene regulation in Drosophila germline and early embryogenesis. We are looking for highly motivated, science-driven candidates. One first author publication is required, at least. Successful applicants should have a PhD degree with expertise in biochemistry, molecular biology, high throughput sequencing technologies and analyses. Moreover, successful applicants must have expertise in Drosophila genetics and handling. Also, computational skills are required for the analysis of the genomic data generated within the course of the project. The working language is English. The MPI in Freiburg is an international research institute at the cross-road of Southern Germany, Switzerland and France. State-of-the-art infrastructure and service units, including transgenesis, mass spectrometry, next generation sequencing, proteomics, flow cytometry and imaging facilities are available. Salary will be based on previous experience according to TVöD guidelines. Handicapped applicants with equal qualifications will be given preferential treatment. The Max Planck Society seeks to increase the number of women in areas, where they are underrepresented, and therefore explicitly encourages women to apply. 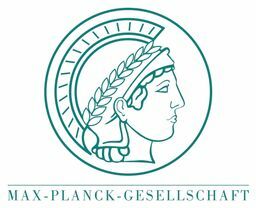 The Max Planck Society strives for gender and diversity equality. We welcome applications from all backgrounds. A childcare facility is directly attached to the institute. Have we sparked your interest? Please submit your complete application (including cover letter outlining your motivation, CV, list of publications and communications, names/contact information of two references) via our online application portal until April 25th ,2019.